Hearts of Iron, Victoria - An Empire under the Sun, Two Thrones, Crown of the North and the acclaimed Europa Universalis II and Europa Universalis II - Asia Chapters have all been compiled into one extraordinary boxed set that is sure to keep strategy fans pleased for months upon months with six classic titles. Whether you're battling your way through World War II or discovering the new world, the Strategy 6-Pack is probably the most unique games pack around with its varied, addictive and challenging gameplay that is a must have for all lovers of strategy. Priced at an extremely affordable $29.95 that is available online from www.auran.com or at your local computer store, the games are almost guaranteed to run on just all modern computer systems from around the turn of the 21st century. 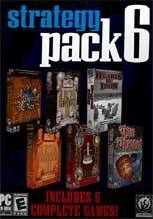 Although graphically, the Strategy 6-Pack is a little dated with similar titles of today, the majority of games still hold up quite well, especially the Europa series or the Crown of the North. With that said, many of the titles are reminiscent of board games with counters as units that have nicely made the transition to the humble computer. Exploration, diplomacy, resources, war and human achievement are the titles that make excellent strategy games and this pack is no exception. 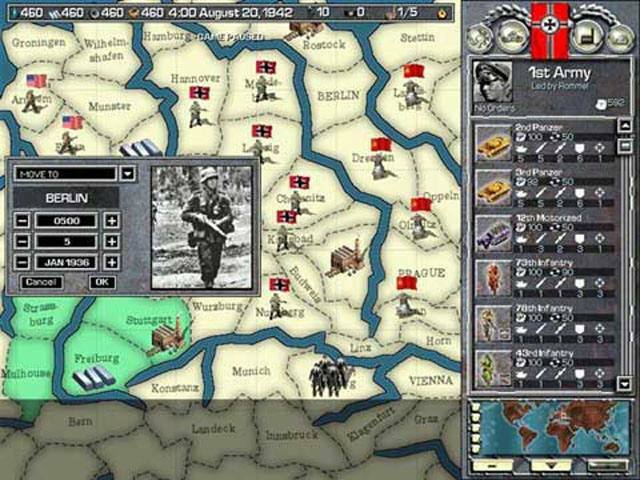 Hearts of Iron: Hearts of Iron is the first ever World War II PC game of true Grand Strategic scope. 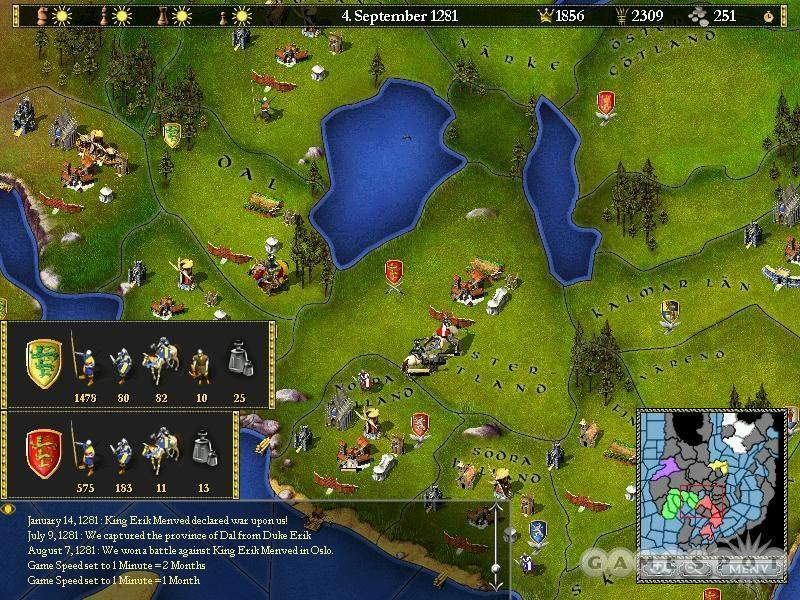 The game map spans the entire world and allows players to take the War to any new front of their choosing. Any nation in the world is playable, but the game focuses on the epic struggle between the great alliances of the new world orders Fascism, Communism and Democracy. 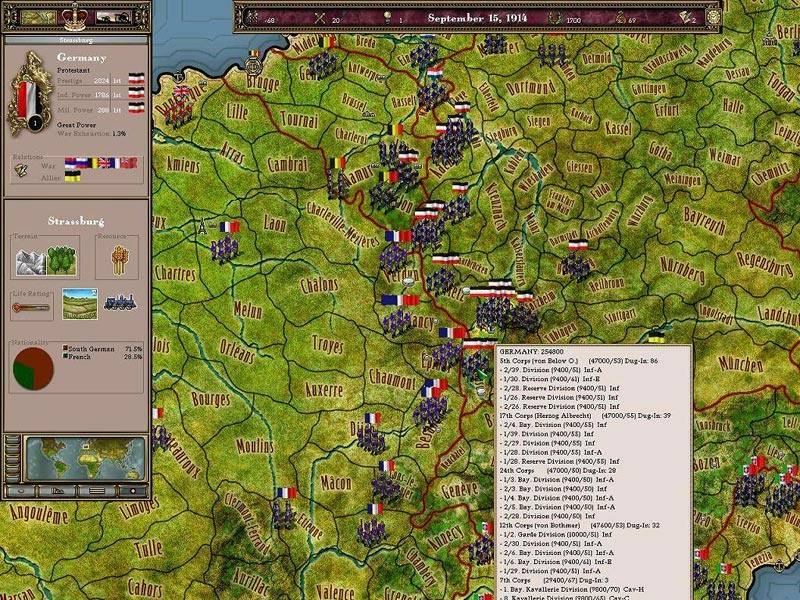 Hearts of Iron is developed by the team behind the award-winning sales success Europa Universalis I and II and brings the same depth of gameplay and historical accuracy to a modern day gaming experience. 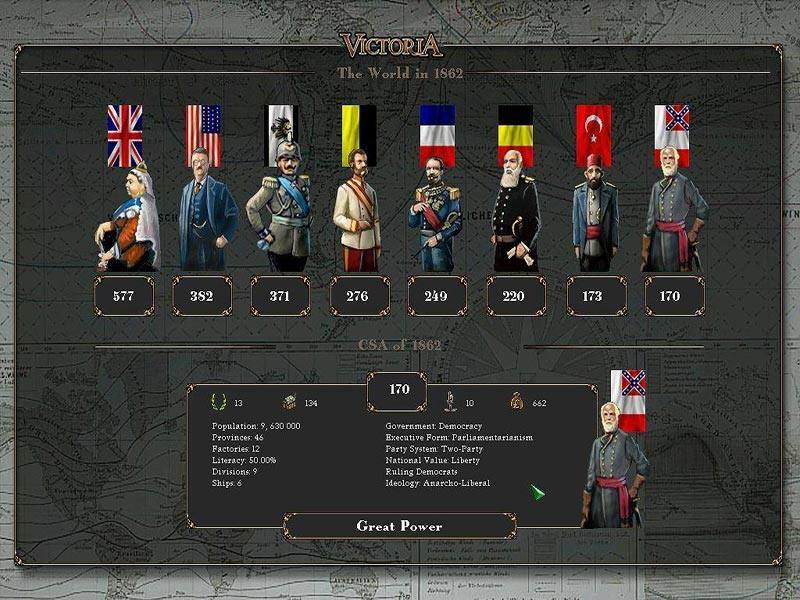 Victoria - An Empire under the sun: Guide your nation from the era of absolute monarchies of the early 19th century to evolve into a fully industrialized Great Power at the dawn of the 20th century! You must make sure that you stay ahead in wealth and strength, and skillfully manage the democratization process without disintegrating. 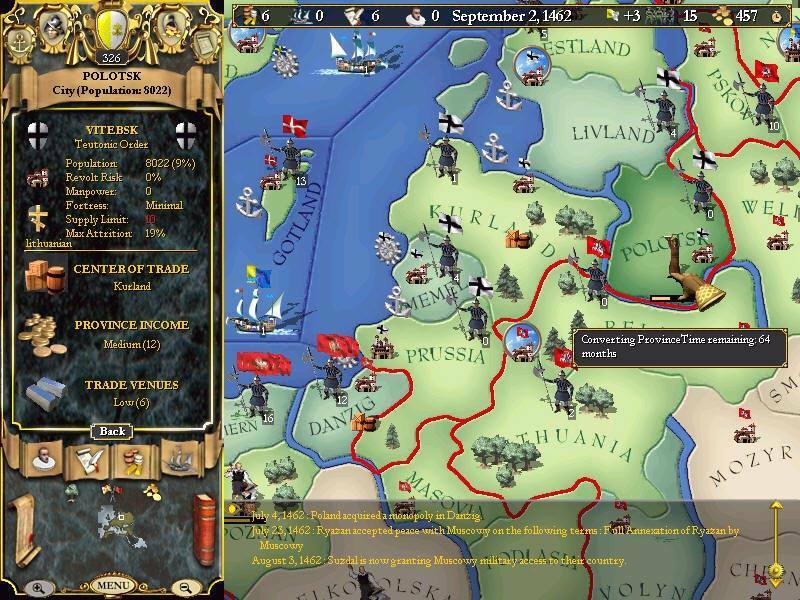 Europa Universalis II:The award-winning hit of last year that changed our perception of strategy games forever is now followed up by a sequel that expands the scope of one of the greatest strategy games ever made. From the medieval battles of Jeanne D'Arc to the fantastic empires of the Incas to the flaming wars of Napoleon, Europa Universalis II invites you to take the seat as the ruler of a superpower for 400 epic years. Now for the first time in history you get the chance to take on the role of the Colonizing Might of Spain, the feudal warlords of Samurai Japan as well as the small trading nation of Genoa. In a game where you battle against one of the most advanced AIs or meet a multitude of human opponents over LAN or the Internet - history is truly in your hands... The sequel includes new features, new player nations and a huge period of history to sink your teeth into. The game starts in 1419 - the 100 years war between France and England has been going on for over 80 years and the English troops are outside the walls of Paris - and ends with the rise and eventual fall of one of Europe's greatest strategists, Napoleon. Two Thones: Two Thrones takes place in the years between 1337 and 1490 in a time where nobility and the church held absolute power. This was a time at the height and splendor of the medieval period, where great achievements and chivalric deeds were all common as were the treacherous tragedies and villainous actions of its people. In this period new cities were founded, great castles constructed, universities, convents and cathedrals built. Terrible wars were fought, the Black Death extinguished near a third of Europe's population, famine and marauding warriors were scourges to the population. A time where noble families in France and England engaged in an epic war for the control of the two thrones of the kingdom. 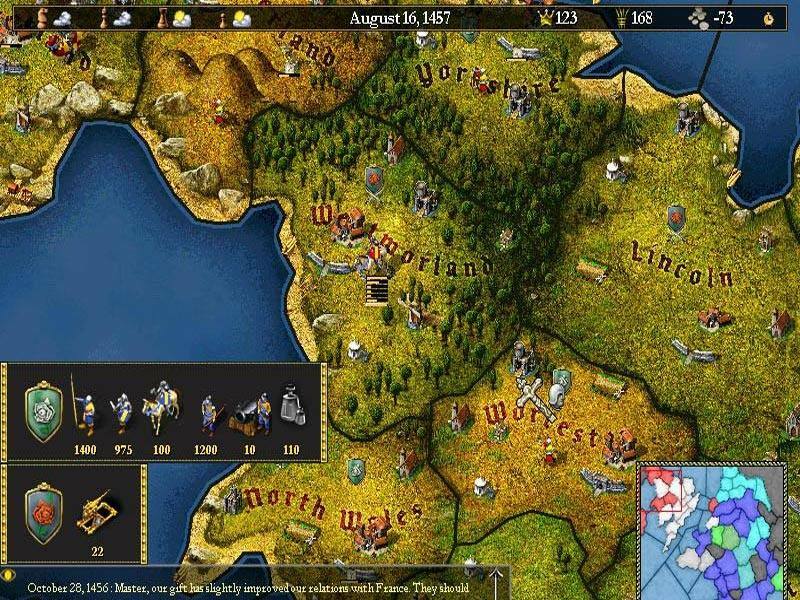 Crown of the North: Crown of the North is based on the Europa Universalis engine and takes place in the years between 1275 and 1340 in a time where nobility and the church held all the power and Sweden was about to launch into civil war. Play as Norway, Sweden or Denmark and plot to change the historical legacy of a region seldom explored!